Pressure cook potatoes for 3 whistles,peel off the skin once done and mash it well.Keep aide. 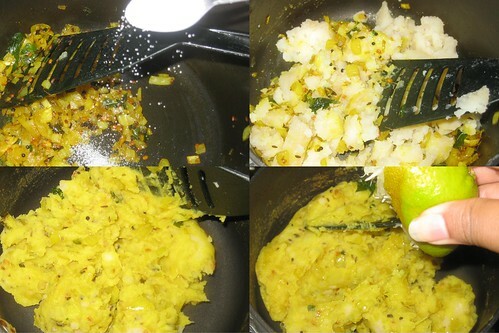 In a pan , season with cumin seeds,mustard seeds,urad dal and curry leaves and hing.Add turmeric powder mix well. 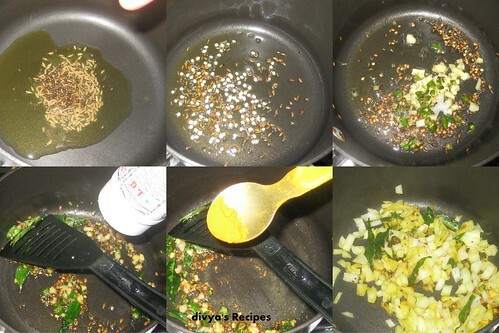 then add finely chopped ginger,green chillies and onions.Fry till transparent without changing color salt.mix well. lime juice mix well.Transfer to a plate and cool down. Make small sized balls and set aside. In a mixing bowl,mix everything "for the batter" table with little water to make a batter,it should be thick enough to coat the potato balls. 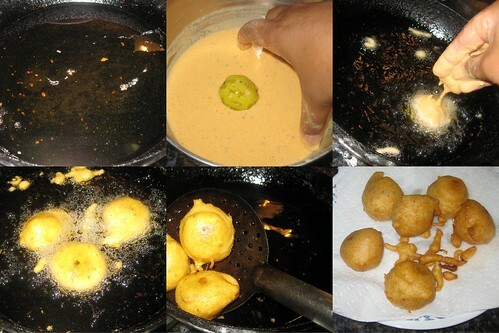 Heat oil in a kadai and deep fry the potato balls dipped to coat it well in the besan batter mix.turn over in a minute to cook evenly on both sides.Cook in medium flame. When its evenly golden fried,drain it over kitchen tissue. Serve with any chutney or any type of sauces, as a tea time snack. Very fulfilling and delicious looking aloo bondas. This used to be my favourite snack during school days. You just made me nostalgic. Delicious bondas and nice step wise pictures.. I dont mind inviting myself to ur place to enjoy this delicious crispy bondas. yum the all time classic. looks so delicious! My all time favourite ! 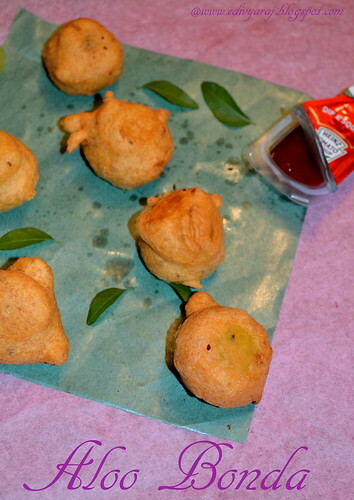 Crunchy and yummy aloo bonda. Perfect festive snacks. Mouth watering bondas looks delicious. Hats off for the step by step pictures.. 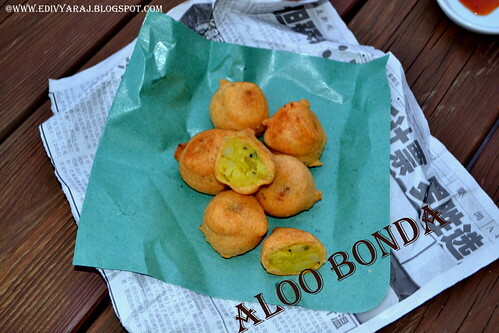 I wouldnt have it done it in case of fried snacks..
wow wow very very delicious aloo bonda dear :) looks super yummm !! 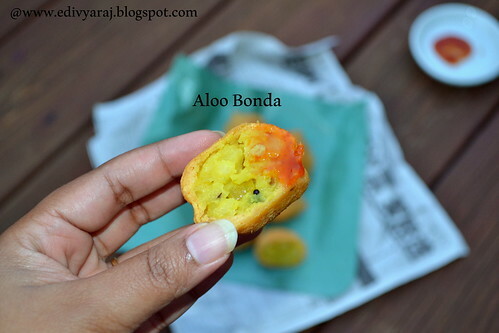 Aloo bondas are always my fav .loved the clicks. Please pass on some...it is not fair to enjoy those yummies by oneself!! Wow...Love it to the core...yummy!! 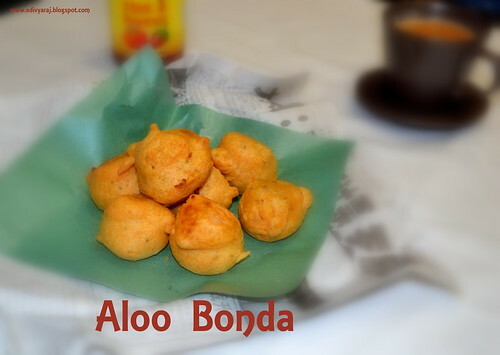 Aloo bonda looks delicious Divya my favorite. Awesome pictorial Divya!! Love this snack any time..So yumm and filling..
Ooh, I have never tried this, but I would love some right now. This looks great! 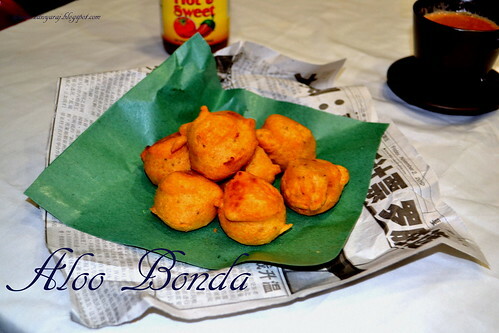 Wow...my alltime favorite bonda...perfect for my tea time.!! Wow... nicely done and lovely stepwise pics too. your aloo bonda is very super! 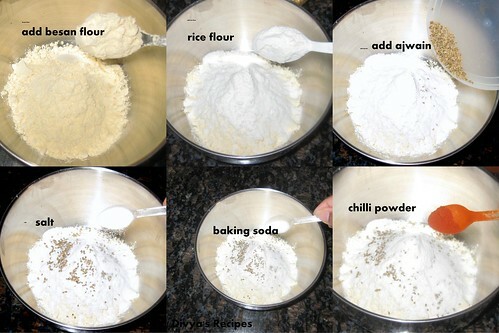 I like how you post step by step pics for th recipes. Nice evening snack for the cold weather. an absolute favorite! you have really tempted me ! HAppy Diwali! Very nice bonda. Always my favorite...looks delicious. 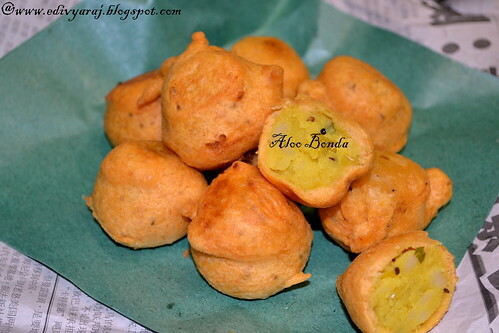 aloo bonda looks very yummy.